Ethambutol is an antibiotic most commonly used for the treatment of mycobacterial infections such as: mycobacterium tuberculosis (MTB), mycobacterium avium complex (MAC), and mycobacterium kansaii (MK). It was discovered in 1961 by Lederle Laboratories and remains one of the only effective interventions for difficult-to-treat mycobacterial infections. Ethambutol is on the World Health Organization’s List of Essential Medicines and costs $100 to $200 per month in the U.S. (I’m a buyer – can vouch for this). Although ethambutol is relatively safe, all users should be informed that it can cause ocular damage (optic neuritis; chiasmopathy; retinopathy; maculopathy). If you’re an unlucky ethambutol user, you might experience complications such as: permanent blindness or worsening of vision; central scotomas (decreased visual acuity); and/or changes in color vision (color blindness, dimming of colors, etc.). Is ocular damage from ethambutol reversible? The rare ethambutol-induced optic neuropathy: A case-report and literature review. Why the toxicity in this case? Why did ocular toxicity occur among patients in this study? A 37-year-old woman presenting with impaired visual function during anti-tuberculosis drug therapy: a case report. Why the ocular toxicity in this case? Ethambutol Toxicity and Optic Neuropathy: 60-year-old female with bilateral painless central vision loss. Did ethambutol affect your vision? Probably won’t occur after stopping ethambutol. The onset of optic neuropathy has never been reported by a patient after stopping ethambutol therapy. Isoniazid use: Most tuberculosis treatment regimens include concomitant administration of ethambutol and isoniazid. Because isoniazid can also damage vision, some researchers believe that ethambutol and isoniazid may be synergistic in the infliction of vision damage. Inadequate nutrition. Ethambutol is a metal chelator and may decrease absorptions and concentrations of zinc and copper. It has been hypothesized that persons with low intakes of zinc and copper may be at increased risk of ethambutol optic neuropathy. Smoke exposure. Smoke and carbon monoxide exposure can increase risk of ethambutol optic neuropathy. Hypertension. Hypertension is documented as another condition that increases risk of optic nerve damage while using ethambutol. Diabetes. Diabetes may increase risk of optic nerve damage from ethambutol. Multiple sclerosis. Any diseases that can damage or demyelinate nerves may increase risk and/or accelerate optic nerve damage associated with ethambutol. 27.5 mg/kg/d or less (2 to 9 months): Rates of visual impairment were 19.2 per 1000 patients. Permanent visual impairment occurred in 2.3 per 1000 patients. Note: Ethambutol can cause optic neuropathy at any dose – even at doses less than 15 mg/kg (likelihood is merely reduced at lower doses). Monthly examinations: Patients using ethambutol should receive ophthalmic examination every month. Visual acuity examination, Amsler grid testing, and color vision testing should be the bare minimum. At-home testing: Patients using ethambutol should be encouraged to conduct their own vision testing between monthly ophthalmologist visits. An Amsler grid, Snellen chart, and color vision test can be helpful for detecting any early changes in vision caused by ethambutol. If vision changes are detected… ethambutol should be immediately discontinued by the patient and a medical doctor should be contacted. Some patients may be able to discontinue ethambutol until eyes recover followed by reinitiation of treatment – whereas others may require an alternative medication. There are methods for detecting subclinical ethambutol optic neuropathy. Detecting subclinical ethambutol optic neuropathy and discontinuing treatment is associated with better odds of visual recovery and lower likelihood of permanent visual deficits from ethambutol. Visually evoked potentials: Detects changes in p100 wave latency. Increased latency indicates optic nerve disease. One study found that 65.4% of 857 patients diagnosed with ethambutol optic neuropathy showed increased p100 wave latency. Subsequent studies have corroborated these findings of an increased p100 wave latency among patients with ethambutol optic neuropathy. Optical coherence tomography: Detects changes in retinal nerve fiber layer. Some patients with ethambutol optic neuropathy exhibit decreases in retinal nerve fiber layer thickness by 20% to 79%. 2 studies involving 68 daily ethambutol users showed increases in retinal nerve fiber layer thickness in select areas or overall. 1 study documented temporal retinal nerve fiber layer thinning in 3 of 104 eyes (2.88%) of ethambutol users – none of which developed optic neuropathy. 1 study documented thinning of retinal nerve fiber layer by ~5mm over 2 months. 1 study with 37 ethambutol users noted thinning of the ganglion cell-inner plexiform layer via optical coherence tomography in a patient who developed ethambutol optic neuropathy – and no thinning of this area in those who didn’t. It should be noted that the data associated with use of optical coherence tomography to detect subclinical ethambutol optic neuropathy are somewhat mixed, however, observed thinning of the retinal nerve fiber layer and/or the ganglion cell-inner plexiform layer may be of diagnostic value. Multifocal electroretinogram: Detects retinal damage and retinopathies. Ethambutol can be toxic to retinal cell layers. Few studies have tested the accuracy of multifocal electroretinogram in detecting ethambutol optic neuropathy. 4 case reports across 9 patients indicate decreased MfERG waves in central and nasal macular regions among patients who experience vision loss while using ethambutol. 2 larger studies (17 and 44 patients, respectively) report decreased P1 amplitude and delayed P1 latency among ethambutol users, however, none of the users in these studies experienced ethambutol optic neuropathy. Multifocal electroretinogram should be used to detect subclinical retinal toxicity in ethambutol users. Before starting ethambutol, there are several things that everyone should be encouraged to do. I’m mostly writing this article for myself – but am hoping that other people benefit from these recommendations. Baseline vision examination: Every ethambutol user should receive a thorough vision examination from an ophthalmologist (not an optometrist). Test kidney & liver function: Kidney and liver impairment can decrease excretion of ethambutol and increase serum concentrations – leading to higher odds of toxicity. Ensure that your kidney and liver function are normal before starting ethambutol – and get your kidneys and liver tested regularly throughout treatment to ensure no change. Avoid contraindications: Have your doctor and pharmacist review all medications and supplements that you take to ensure that none are contraindicated. If any concomitantly administered substance affects serum levels of ethambutol, kidney function, or liver function – you’re increasing your risk of ethambutol optic neuropathy. Minimal effective ethambutol dose: Before initiating ethambutol treatment, ensure that the dosage of ethambutol that you received from the pharmacist is correct – and that the dosage that you’re going to administer is correct. Most patients should not be taking more than 15 mg/kg of ethambutol. Intermittent therapy: Some treatment protocols allow for thrice weekly (3x) administration of ethambutol instead of daily administration. Administering ethambutol thrice weekly may decrease your overall exposure and risk of developing ocular toxicity – relative to daily administration. (It makes logical sense that intermittent therapy would reduce risk based on the fact that ethambutol is out of the body within ~18.15 hours of administration – possibly giving eyes time to recover a bit between doses). Talk to your doctor about intermittent (Monday, Wednesday, Friday) regimens. Continued vision examination: Throughout ethambutol treatment, it’s strongly recommended to continue examining vision to detect changes from baseline. Ophthalmologist examination: Once per month (minimum). At-home examination: Daily or weekly. Can use Amsler grid, Snellen chart, color vision book, etc. Applications (apps) on phone can be useful as well for tracking visual acuity and color vision. For those without a phone, searching for tests online via a computer may be helpful as well. Stop ethambutol if vision changes: If you notice any vision abnormalities such as blurriness, cloudiness, inability to distinguish between certain colors, etc. – it is recommended to stop taking ethambutol and seek immediate ophthalmic examination. Only resume ethambutol if deemed safe or necessary by an ophthalmologist. Adequate nutrition: While taking ethambutol, it is strongly recommended to optimize intake of nutrients. Nutritional deficiencies may increase one’s risk of developing ethambutol ocular neuropathy. Though all nutrients are important, zinc and copper may be of greatest importance due to the fact that ethambutol chelates zinc and copper. Maintain normal zinc/copper levels: Some researchers suggest that it couldn’t hurt to check your zinc/copper levels while taking ethambutol. Zinc/copper chelation by ethambutol may be one mechanism associated with the induction of ocular toxicity. It’s relatively low risk to: (1) have a medical doctor monitor zinc/copper levels – and (2) supplement with zinc and/or copper to keep levels as high as possible throughout treatment. Supplementation: As of current, no supplements are medically-recommended as prophylactics or treatments for ethambutol optic neuropathy. Some supplements might decrease your risk of ethambutol optic neuropathy, however, you should ensure that these supplements (1) are safe and (2) do not interfere with the anti-mycobacterial action of your medications. I’ve compiled a list of supplements that I think might be helpful for the prophylaxis and/or treatment of ethambutol optic neuropathy. Understand that the efficacies of these supplements in prophylaxis and treatment of ethambutol optic neuropathy remains unknown. Do NOT assume that these supplements will help prevent or reverse ethambutol optic neuropathy. These are merely supplements that I believe: (1) have mechanisms that could be of potential use in preventing and/or reversing ethambutol optic neuropathy; (2) are relatively low-risk (in side effects); (3) are unlikely to interfere with treatment. I’ve emailed several ethambutol researchers and am awaiting responses for supplement recommendations. If you have any rational recommendations for low-risk, potentially-beneficial supplements for prevention or treatment of ethambutol optic neuropathy – let me know. Zinc: Ethambutol is believed to strip zinc from optic tissues as the primary mechanism by which it inflicts ocular damage. Supplementing with zinc to keep levels as high as possible within the normal range may be protective against ocular toxicity. Copper: Ethambutol appears to strip copper from tissues within the optic nerve. Supplementing with copper to keep levels as high as possible within the normal range may provide some protection against ocular toxicity. NAC: Because ethambutol may induce excitotoxicity and increase reactive oxygen species – it makes sense to counteract this with an antioxidant effect. NAC helps replenish intracellular glutathione – a potent antioxidant. Alpha lipoic acid: This supplement should also help decrease reactive oxygen species resulting from ethambutol. Like NAC, alpha lipoic acid is another potent antioxidant supplement. Ubiquinol: Researchers hypothesize that ethambutol may induce optic neuropathy in part by interfering with mitochondrial function. Ubiquinol is a supplement that enhances mitochondrial function – and may counteract the dysfunction induced by ethambutol. Multivitamin: To cover your nutritional bases and avoid deficiencies – consider taking a multivitamin. There may be many vitamin/mineral deficits involved in ethambutol ocular toxicity – a multivitamin will help cover your bases. Vitamin C: Supports nerve cell development and myelination. Also can augment efficacy of antibiotics in the treatment of mycobacterial infections. Vitamin D: May have neuroprotective properties and support the survival of cells. Another supplement with no apparent downside. Vitamin B12: If you’re a vegetarian/vegan and/or are concerned about your B12 levels – you may want to supplement with vitamin B12. Inadequate vitamin B12 can result in nerve damage even in the absence of ethambutol. Adequate cobalamin may be associated with greater recovery of the optic nerve following optic neuropathy. Vitamin B6: Ensuring that vitamin B6 levels are within the normal high range may help preserve nerve function. Vitamin E: Helps protect fatty acids in cell membranes from oxidative damage. Magnesium citrate: Can protect against excitotoxicity. Taurine: Generates an antioxidant effect that may protect the optic nerve. Krill oil: May protect against optic nerve damage via an antioxidant effect and enhancing blood flow. Calcium D glucarate: Kidney and liver impairment are associated with higher risk of optic neuropathy from ethambutol. Supplementing with calcium D glucarate may help preserve kidney and liver function throughout treatment. Ginkgo biloba: Oddly enough, a neuro-ophthalmologist suggested that ginkgo biloba may be useful for preserving the optic nerve while using ethambutol. (I haven’t used it because I’m concerned of a potential interaction with rifampicin – another medication I’m taking). Methylene blue: Yeah – the stuff that people put in fish tanks… Acts as a neuroprotective agent and mitochondrial enhancer. Creatine: Enhances mitochondrial function; may be protective. Acetyl-L-carnitine: Enhances mitochondrial function; may be protective. I also try to eat a diet high in zinc, copper, B vitamins, vitamin A, vitamin E, and vitamin C. Foods that help me accomplish this include: almonds (1/2 cup minimum per day), carrots (at least 3 ounces daily), beef, and various fruits (apple, banana, etc.). Note: The supplements I’ve linked to contain “affiliate links” which allows me to earn a tiny commission if you purchase through my website. I only link to supplements that I have used or would use – and you don’t need to buy through me (although I’d appreciate it if you did). (One supplement that I’m NOT affiliated with that I discovered was “Optic Nerve Formula“… looks like it could have some potential – but I’m not usually a fan of “formulas” because they’re generally just an overpriced blend of ingredients – do more reading on the company’s data sheet if you’re interested). The mechanisms by which ethambutol damages the optic nerve and eyes remain unknown. Several mechanisms have been proposed as potentially-causing ethambutol-induced optic neuropathy and retinopathy. Metal chelation: Ethambutol is a metal chelator and functions by inhibiting arabinosyltransferase. One hypothesis suggests that ethambutol administration chelates zinc on mitochondrial metal-containing enzymes and throughout excitotoxic pathways involving glutamate. Zinc/copper: Several studies indicate that ethambutol induces chelation of zinc and copper. Because ocular tissue contains high concentrations of zinc, an ethambutol-induced zinc deficiency could be a mechanism by which it inflicts damage. Interference with iron and copper complexes: Ethambutol might also interfere with oxidative phosphorylation and mitochondrial function by interfering with iron-containing complex 1 and copper-containing complex 4. Oxidative stress: Interfering with iron-containing and copper-containing complexes can significantly increase oxidative stress. Excess oxidative stress can lead to tissue damage and programmed cell death (apoptosis). Mitochondrial dysfunction: It seems as though the combination of metal chelation and interference with iron-containing and copper-containing complexes results in mitochondrial dysfunction. In rodents, ethambutol is toxic to retinal ganglion neurons. Retinal ganglion cells (RGC) are profoundly damaged in monkeys with ethambutol optic neuropathy (both functionally and morphologically). Based on this finding, it’s likely that retinal ganglion cells (RGC) are damaged in function and structure among humans with ethambutol optic neuropathy. Temporal pallor observed in ethambutol optic neuropathy is attributable to a high mitochondrial load within the papillomacular bundle – leading ganglion cells to be most affected by ethambutol-induced mitochondrial dysfunction. There is no effective treatment for ethambutol optic neuropathy. Immediate discontinuation of ethambutol. If optic neuropathy occurs, it is recommended that the patient immediately discontinue ethambutol treatment. This will increase likelihood of recovering visual function. Nutritious diet and supplementation (?). A nutrient-rich diet in conjunction with the administration of dietary supplements and/or neurotrophic agents may prove useful in reversing ocular damage induced by ethambutol. Sometimes. The reversibility of ethambutol ocular damage is subject to significant individual variation. Some medical doctors are more confident about the reversibility of ocular damage resulting from ethambutol than others. Few patients will experience full visual recovery of vision in the aftermath of ethambutol optic neuropathy. The average improvement is 2 lines on the Snellen chart. If optic nerve atrophy is present at the time of diagnosis – recovery of visual function is unlikely. The case series of 10 patients by Tsai and Lee (1997) reported that only 50% of patients with ethambutol optic neuropathy experienced visual improvement within 1-to-3 years of stopping the medication. Furthermore, all of these patients had used clinically “safe dosages” of ethambutol. Included below are summaries of several case reports and studies in which ethambutol-induced optic neuritis was either discussed or reported. Case report: A 75-year-old Chinese man was diagnosed with optic neuropathy after taking ethambutol for 8 months as an intervention for tuberculosis. Interventions: Ethambutol was discontinued for 3 months and neurotrophic agents were administered in effort to reverse ethambutol-induced optic neuropathy. Outcome: A month after the 3-month discontinuation period plus administration of neurotrophic agents – the man experienced recovery of visual function (according to ophthalmic examinations). Likely the ethambutol dose. 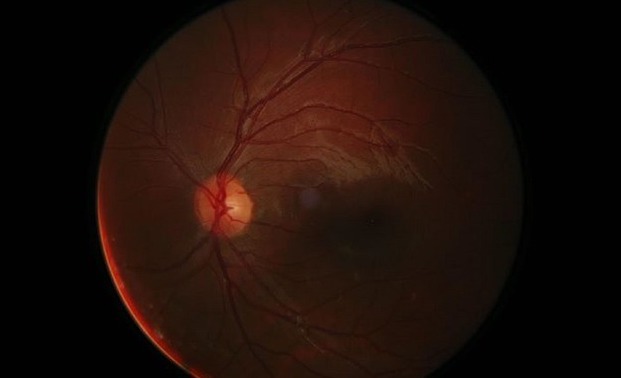 In this case report, the 75-year-old Chinese man weighed 65 kg, had taken ethambutol at a dose of 1500 mg/day, and had been taking ethambutol for an 8-month period before he noticed ocular symptoms. There’s no knowing exactly why this man experienced ocular toxicity, however, it’s most likely attributable to a combination of his higher-than-necessary ethambutol dose and daily administration for 8 months. (His kidney and liver function were not mentioned – though abnormalities would’ve increased his risk). Dose: It’s generally recommended that ethambutol be administered at a dose of 15 mg/kg during maintenance in effort to avoid ocular toxicity. This man was receiving over 23 mg/kg during maintenance – putting him 8 mg/kg above the recommended maintenance dose. Fortunately, it seems as though this man experienced recovery in his visual function around 3 to 4 months after stopping ethambutol. The neurotrophic agents administered by doctors were not listed in the article. (I’ve emailed authors of this paper with no response). Aim: Evaluate rates of ethambutol-induced ocular toxicity among 64 patients enrolled in India’s revised National Tuberculosis Control Program who received intermittent doses of ethambutol and rifampicin. Methods: All patients received visual examination at baseline and then again after the first month and second month of treatment. In this study there were 2 categories of patients based on medication regimen. Results: The following changes occurred after 2 months of intermittent (thrice weekly) ethambutol use. Interventions: Patients with ocular symptoms were instructed to discontinue ethambutol and showed improvements in visual acuity after a follow-up period of 1 to 2 months. Conclusion: Researchers concluded that ethambutol could cause ocular toxicity even when administered according to program. Recognizing ocular symptoms early was important to prevent delays in diagnosis and potentially-irreversible vision loss. Likely the ethambutol dose. Garg et al. noted that patients in this study received ethambutol at a dose that exceeded 20 mg/kg body weight. The exact body weight of each patient was not provided so we are unable to know the degree of excess dosing for each patient. Additionally, it’s known that isoniazid can contribute to ocular toxicity. In this study, it’s possible that some of the adverse ocular effects were partially [or fully] attributable to isoniazid. Ocular toxicity can occur among patients receiving ethambutol at doses exceeding 20 mg/kg. Ocular toxicity can occur among patients receiving intermittent ethambutol (thrice weekly) in the management of tuberculosis. Ocular toxicity reverses and visual functions are usually recovered if ethambutol is stopped as soon as visual impairments are detected. It’s critical that patients receive thorough ophthalmic examinations once per month while on the medication. Case report: A 37-year-old woman weighing 48 kg experienced visual impairment and mild sensory neuropathy in Month 4 of anti-tuberculosis treatment (ethambutol 825 mg, isoniazid 225 mg, rifampicin 450 mg, pyrazinamide 1200 mg). Intervention: Ethambutol and anti-tuberculosis therapy was discontinued and the patient was given Dolo-Neurobion multivitamins (daily) for 3 weeks. Outcome: Vision initially worsened to 1/60 in both eyes, but then gradually improved 9 months after discontinuation of anti-tuberculosis therapy. Normal vision was not restored, but a significant improvement occurred. In this case, it’s unclear as to why ocular toxicity occurred with ethambutol, but there are several possibilities. Dose (? ): The patient’s ethambutol dose was 825 mg/d – yet her bodyweight was 48 kg. This equates to around 17.19 mg/kg ethambutol – which exceeds the recommended peak ethambutol dose of 15 mg/kg. Isoniazid: As part of anti-tuberculosis therapy, the patient received isoniazid with ethambutol. Isoniazid and ethambutol may be synergistic in the infliction of ocular damage. Researchers suspect that isoniazid may have worsened ethambutol ocular toxicity. Daily use & long-term: The patient had been using ethambutol on a daily basis plus had been taking it for 4 months. 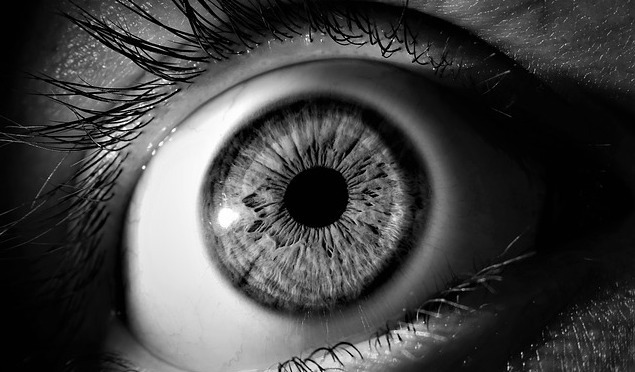 Perhaps the daily administration and duration both increased her risk for ocular toxicity. Case report: 60-year-old female with bilateral blurry central vision. The patient was receiving ethambutol (800 mg/d) with azithromycin and rifampicin to treat mycobacterium avium intracellulare. Patient reported increased glare with bright lights in left eye. Reported “whited out” vision and blurriness. Details: Vision was 20/400 in each eye with no disc edema. Retina specialist noted worsening of vision to CF (count fingers) at 2-3 feet for each eye. Dyschromatopsia (brown-green and blue-pink) was reported. Optic disc pallor in both optic nerves with spontaneous venous pulsations. Bilateral dense central scotomas. Retinal damage. Comorbidities: The patient had Addison’s disease, diabetes, and hypothyroidism. Outcome: Patient reported “lightening” of vision with fewer dark shadows. Patient continues to have poor central vision and dyschromatopsia. Visual acuity improved to 20/400. Dense central scotomas slightly improved after 6 weeks. Unclear. Potentially just bad luck. However, there are several potential variables that may have increased this patient’s risk for ocular damage with ethambutol. Initial dose (?). The patient received ethambutol at a dose of 25 mg/kg/day for the first 2 months of her treatment. Perhaps this high initial dose of ethambutol for the first 2 months inflicted significant damage and weakened structures within the eye – such that when the 15 mg/kg/day dose was introduced – the damage gradually progressed. Concomitant medications (?). The patient was taking Synthroid, Fludrocortisone, Hydrocortisone, Actonel, Lantus, Humalog, and other substances “as-needed” (Protonix, Tylenol, calcium, and a multivitamin). It’s possible that some of these medications may have altered serum concentrations of ethambutol and/or altered ocular structures to increase risk of ocular damage. Diabetes. Diabetes is a factor associated with increased risk of ethambutol optic neuropathy. This patient had a history of diabetes exceeding 10 years. Daily administration. The patient administered ethambutol on a daily basis – and was not given intermittent therapy. Daily dosing may have further increased her risk of toxicity. Acute Optic Neuropathy & Residual Chiasmopathy due to Ethambutol therapy for Pulmonary Mycobacterium Avium Complex Infection. On 2 Rare Cases of Ethambutol-Associated Optic Chiasmopathy. Ethambutol optic neuropathy associated with enhancement at the optic chiasm. Note: If you know of additional cases of ethambutol ocular damage that were not mentioned, let me know. (I’ll add links to them here). Although ethambutol research probably isn’t very cost-effective, there are some universities and non-profit research groups that may be able to conduct additional ethambutol studies. Below are some research ideas I have (some of which may be obvious recommendations). 24-hour serum ethambutol concentrations: Although ethambutol dosage is configured based upon patient body weight, perhaps it should be configured based upon 24-hour serum ethambutol concentrations. Perhaps keeping 24-hour serum ethambutol concentrations below a certain threshold will reduce odds of ocular damage to a greater extent than prescribing based on body weight. Why? Because some patients might exhibit higher relative serum ethambutol levels (relative to others) even with a dose tailored to body weight. It’s possible that could be increasing risk of ocular damage. Ideally, patients should be using the minimal effective dose of ethambutol required to eradicate mycobacterial infections – but no more. Identify the exact mechanism(s) involved in damage: Researchers suspect that ethambutol chelates metals like zinc and copper, increases oxidative stress, and causes mitochondrial dysfunction to damage the optic nerve, retina, and other aspects of visual function. It may be beneficial to further research the mechanisms behind ethambutol-related ocular damage. Research zinc/copper concentrations: Another interesting idea for a study might be taking patients who are prescribed ethambutol and optimize their zinc/copper levels throughout the study. This would involve testing zinc/copper concentrations during ethambutol treatment – and supplementing to keep zinc/copper levels as high as possible (within the safe limits). With this study we could compare rates and/or severities of ethambutol optic neuropathy among persons who optimized their zinc/copper levels to those who didn’t optimize their levels. We could also optimize everyone’s zinc/copper levels and compare their rates of ethambutol optic neuropathy to the general population. Evaluate prophylactics: Researchers could make a list of interventions (supplements, medications, nutritional therapies) that logically seem as though they might be capable of preventing ethambutol optic neuropathy without affecting its anti-mycobacterial action. I already think a basic multivitamin coupled with a nutrient-dense, balanced diet (fruits, vegetables, beef, nuts/seeds, whole grains) may be helpful. I also would like for researchers to investigate mitochondrial enhancers (idebenone, ubiquinol, CoQ10), antioxidants (NAC, glutathione, alpha lipoic acid, etc. ), and additional vitamins (magnesium, vitamin C, vitamin D, vitamin E, vitamin A, etc.). Evaluate treatments for reversal of ocular damage: Ocular damage resulting from ethambutol treatment can be significant and irreversible. In most cases, ocular damage associated with ethambutol is only partially reversible for some people – the others incur irreversible damage. Researchers should brainstorm potentially-useful interventions for restoration or regeneration of healthy ocular status. In one study, neurotrophic agents were used to help promote vision recovery in an elderly Chinese man who suffered vision deficits from ethambutol. Identify all types of ethambutol-induced damage: Most medical doctors are concerned with optic nerve damage as a result of ethambutol use. That said, it seems as though ethambutol can damage other areas of the eye beyond just the optic nerve. Researchers should attempt to identify all of the ways by which ethambutol can damage human eyes. Many experts seem to focus on the optic nerve while forgetting that ethambutol can inflict notable damage upon the retina. Note: All of these research ideas could be avoided if an alternative treatment for mycobacterial infections is developed and proven effective. Unfortunately, there is little financial incentive to develop new anti-mycobacterial agents – so don’t think that ethambutol use will cease anytime soon. In September 2018 I fainted with localized chest pain and ended up in the ER. Immune function was normal, lung function was normal, but a CT scan revealed pulmonary nodules and a 2 cm cavitary lung lesion. No official diagnoses were made during my ~2 week stay in quarantine intensive care unit (ICU). Weeks after my release from the ICU in October 2018, a culture sample from my bronchoscopy grew mycobacterium avium complex. My pulmonologist immediately prescribed the medications azithromycin, ethambutol, and rifampicin (colloquially referred to as “The Big 3”) to treat this uncommon mycobacterial infection. Initially I was taking the medications daily – but an infectious disease doctor would adjust my protocol to Monday, Wednesday, Friday. I’m currently slated to take azithromycin, ethambutol, and rifampicin for 18 months. On a positive note, the pulmonary mycobacterial infection is responding well to the current treatment regimen. On a negative note, the side effects associated with my medications have been difficult to bear. Nevertheless, I must continue with these medications in hopes of eradicating this wicked pulmonary infection. Prior to my treatment, I saw an ophthalmologist for a baseline vision examination that included: visual acuity; visual field testing; dilated fundus examination; and optical coherence tomography. My vision was completely normal (20/20), both eyes were equal in ability, and I’ve never had any history of eye issues. As I mentioned, I’ve been using ethambutol since October 2018. Below is a brief overview of what I’ve experienced thus far throughout my treatment with ethambutol. First few weeks (October 2018). After initiating ethambutol treatment, the first thing I noticed (subjectively) was burning behind my eyes. It wasn’t super painful, but the burning sensation lasted for a few weeks and then subsided. (I’ve never experienced this burning sensation before in my life). I also noticed a very negligible (nearly unnoticeable) haze within the first few hours following ethambutol administration – likely because this is when concentrations of ethambutol peak within the serum and eye (1-4 hours post-administration). Intermittent eye pain (November/December 2018). The second and third month of ethambutol treatment I no longer experienced a burning sensation following administration, but would randomly experience intermittent bouts of a dull, throbbing pain behind my eyes. Sometimes this pain would force me to close my eyes because it was so uncomfortable. I consulted my ophthalmologist who checked my eye pressure (which was within normal range). A different neuro-ophthalmologist suspects that this pain might be related to altered spinal pressure from my medications – but isn’t sure. Sickness (January 2019). At some point in January I became sick with the “common cold” (rhinovirus). I continued ethambutol with my other medications during this sickness which lasted about 2 weeks. While sick I experienced extreme unilateral (left) eye watering and blurred vision. Because I was concerned about a synergistic damaging effect between the rhinovirus infection and ethambutol – I eventually consulted an ophthalmologist who tested my vision and recommended continuing treatment. Although my left eye (the eye primarily affected with heavy watering and blurriness from the rhinovirus) mostly recovered – its acuity was not as good as it was pre-treatment. I had to guess a couple letters on my eye exam (guessed correctly) – and have never had to do this. Since this sickness, my left eye has been noticeably blurrier, less vivid, and less bright than my right eye – particularly at a distance. A street sign that I can read clearly with my right eye is slightly blurry with my left from the same distance. Note: The ophthalmologist I saw said it’s possible that there’s a synergistic damaging effect between rhinovirus infections and ethambutol-induced damage. (Perhaps infected eyes are more vulnerable to damage from ethambutol). Unilateral blur (late January 2019): At some point in late January 2019 I experienced a worsening of the blur in my left eye. I totally freaked out, increased my doses of certain antioxidant supplements (taking them twice a day instead of once), and saw a neuro-ophthalmologist instead of my normal ophthalmologist. The neuro-ophthalmologist did some basic testing like a visual field test, visual acuity test, etc. – but didn’t find anything seriously damaged. He recommended that I continue treatment. I asked about supplements and he said that ginkgo biloba probably wouldn’t hurt and might have some upside. February/March 2019: Throughout February and March I’ve been obsessively checking my visual acuity and color vision using my own tests – plus apps on my phone. My left eye gets the job done – especially from close range, but is noticeably blurrier than my right eye from a longer distance. Subjectively I’ve noticed that when I sleep on my right side at night – my right eye is slightly blurrier than my left eye in the morning on the day after taking ethambutol. Similarly, when I sleep on my left side at night – my left eye is slightly blurrier than my right eye in the morning on the day after taking ethambutol. That said, overall my left eye seems to be slightly blurrier, dimmer, and less vivid than my right eye – especially from a distance. I haven’t had any recent throbbing behind my eyes for at least the past couple months. I’ve continued my supplementation and hope that I’m able to tolerate ethambutol without issues for the remainder of my 18-month protocol. My infectious disease doctor is checking my kidney and liver function every few months (after initially checking them monthly with no problems) – and my ophthalmologist is checking my eyes every 3 months (or whenever I notice a change). Below are some conclusions I’ve drawn from my own research of ethambutol and ocular side effects. Any patient can experience ocular damage from ethambutol – regardless of his/her dose and risk factors. If administered at a dose of 15 mg/kg or less – the risk of ocular damage from ethambutol can be minimized. Intermittent treatment regimens (M,W,F) might decrease risk of ethambutol optic neuropathy, however, it can still occur. Shorter-term ethambutol treatment is associated with lower risk of ethambutol optic neuropathy – relative to longer-term treatment. Stopping ethambutol as soon as visual deficits are noticed or detected will increase odds of vision recovery. Most people with ethambutol optic neuropathy will not experience full vision recovery (back to pre-ethambutol vision). All ethambutol users should receive baseline vision testing from an ophthalmologist – followed by once monthly examinations during treatment. According to Chamberlain et al. (2017), because ethambutol is a critical medication in the treatment of mycobacterial infections, the number of people impacted each year by ethambutol optic neuropathy is probably very high. The prototypical patient with ethambutol optic neuropathy will endure painless, bilateral and progressive changes in visual acuity and/or color vision. Central and cecocentral scotomas are usually observed. Most medical doctors probably underestimate the risk of ocular damage from ethambutol. Besides ocular damage, ethambutol is extremely safe and well-tolerated. The bottom line: Ethambutol is a necessary evil for most people who need to treat mycobacterial infections. Though the risk of ocular damage is significant – risks associated with other medications like amikacin are arguably more substantial (e.g. guaranteed hearing loss, vestibular dysfunction, kidney damage, etc.). My infectious disease doctor and I agree that amikacin is a “last resort.” However, if ethambutol causes ocular damage or vision changes, I may need to transition to amikacin (though I’d prefer something less toxic). If you’ve either used ethambutol in the past – or are currently using ethambutol – feel free to leave a comment about your experience. In your comment, I’d be interested to hear some details regarding both your visual function and ethambutol treatment. How was your visual function at baseline? How often do you see your ophthalmologist? If you experienced any vision changes on ethambutol, did you discontinue immediately and see an ophthalmologist? If your vision worsened on ethambutol, did it eventually normalize? 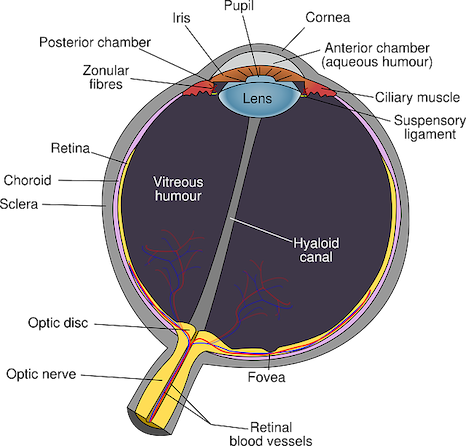 If your vision worsened on ethambutol – did an ophthalmologist diagnose the problem? How was your kidney function at baseline? How was your liver function at baseline? How often do you get your kidney and liver function checked? Which medications do you take with ethambutol? Do you consume a nutrient-dense diet? Do you have any risk factors for ethambutol optic neuropathy? Next post: Can You Use Paypal Anonymously?